bonsaii shredders provide you with the ultimate solution for reliable and durable document destruction with high performance solid cutters. High Precision engineering provides the unsurpassed cutting quality, this ensures your confidential, financial and sensitive documents are shredded and protected from theft. The paper is precision cut into thousands of pieces to ensure the highest security whilst meeting requirements of the data protection laws; the micro-cut machines provide the solution to preventing thieves stealing your data and potentially your identity and money. The cutters are ultra-durable with a solid core and provide the ultimate high strength cutting edge performance. 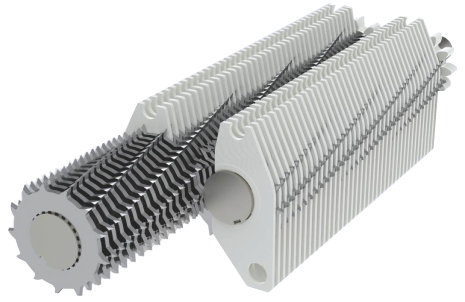 Patented paper separation plates provide a unique solution for longer lifetime, combined with the durability and ultra-reliable construction to allow the shredding of paper clips and staples with ease. This gives bonsaii the confidence to provide you with 7 years warranty on manufacturing defects.